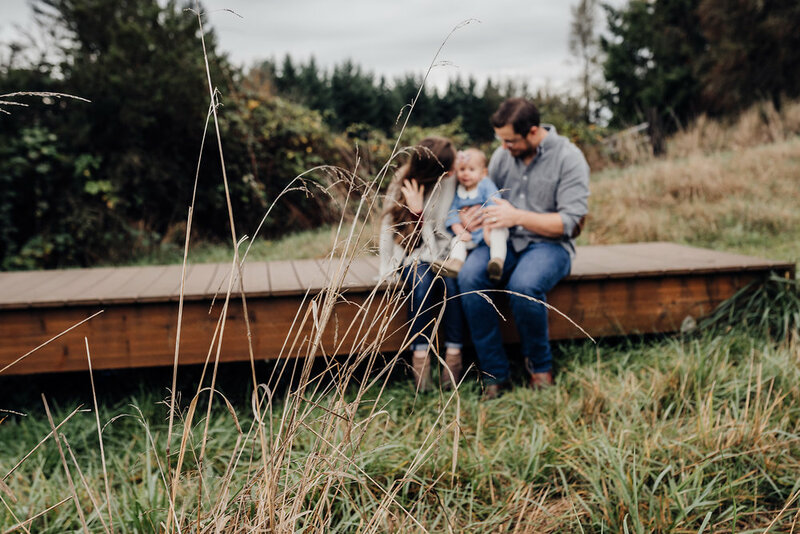 Family sessions with OAK AND BADGER happy a little bit differently than your typical photo session. I like an image to evoke emotion, a feeling, a memory. What I don't want is for you to look at an image and remember a session full of uncomfortable posing and forced cheesy smiles. Instead, let's work together to catch those beautiful moments of your daily life...unscripted. That means no poses. Let's help you remember those family game nights, or a day at the park, or an adventure at the bowling ally, or even a trip to the farm. 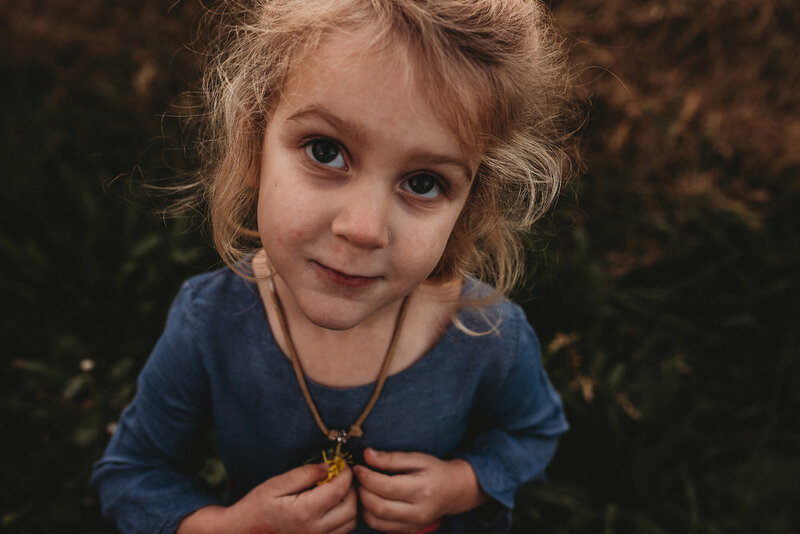 Even if it's just lounging at home with a cup of coffee in your pajamas while your kiddos run and play, let's capture the beauty of your children as they are TODAY. No fake smiles allowed. Real emotion. Raw Life. Your gallery with OAK AND BADGER will be full of unposed, natural moments. The REAL moments you want to remember. 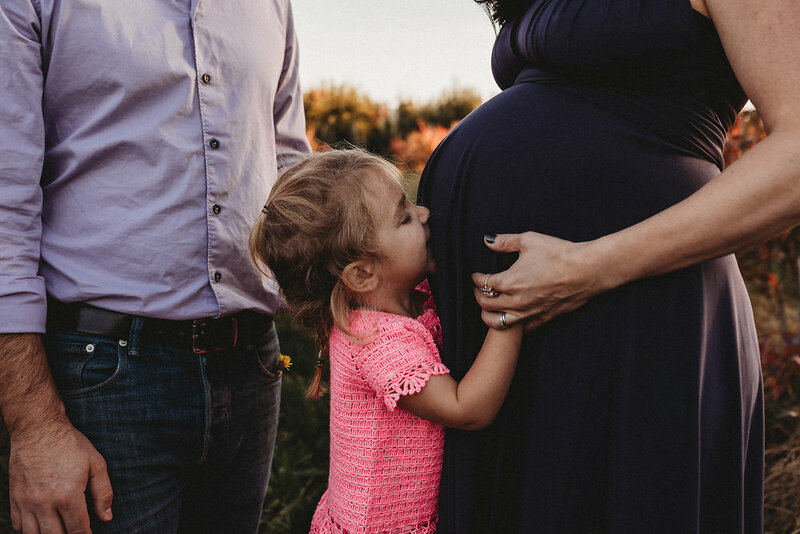 I do understand that there are some times in life where you want a few quick images - say for a head shot, or a Christmas card, or even just a few quick shots of your pregnant belly. If that's what you're looking for, think about my mini photo package. It's a quick 30 minute, minimally posed session to grab those few images you're looking for. Really though, consider the documentary packages - you won't regret it and YOU ARE WORTH IT. I promise! I've had many friends come to me, telling me how they love seeing the photos of my boys I post to Facebook. They always say "I wish I had pictures like that of my kids, in their element!" It took me a while to realize that THIS is the type of photography I should offer. Those moments are the ones you'll want to remember. I don't know about you, but I don't know many people that love being forced to take photos, placed in uncomfortable positions while a photographer dances around like a goofball trying to get everyone to smile. 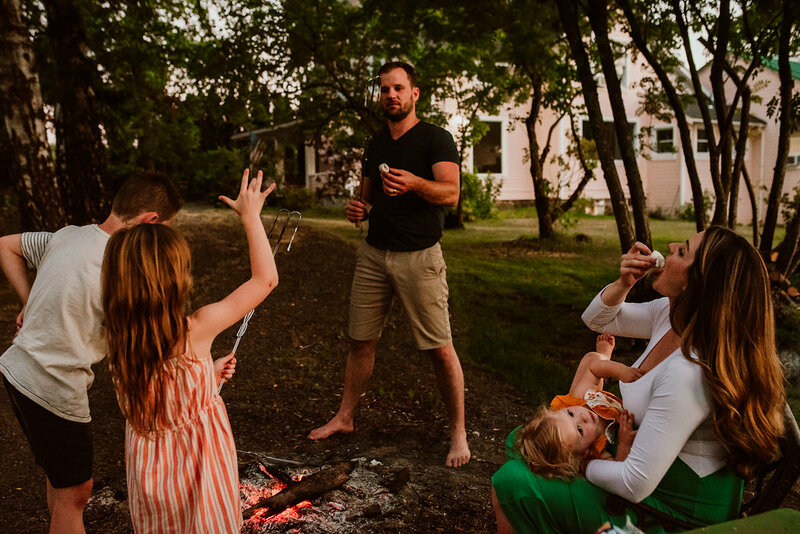 If instead, you can enjoy a family outing together - spend time at home making cookies - or simply play some soccer in your backyard, while I fade into the background and capture those real, authentic moments, wouldn't you choose that? I know I would. And together we'll capture those real, unforced smiles while creating beautiful family pictures you'll treasure, forever. Why documentary photography? What's in it for us? As a parent, it's so easy to remember to document those big events in life. Birthdays, toddler milestones, the first day of preschool. What we often forget to document are those everyday moments that often go unnoticed. And when we do take pictures, it's typically the parents taking pictures of the kids. Sure, you'll end up with lots of fun pictures of them, but we aren't just taking photos for us...we are taking them for our kids and future generations too! It is immensely important for parents to be in pictures; moms and dads that are comfortable with themselves will be positive role models for their kids. Not only that, but pictures of you will be priceless keepsakes for your kids when they are older. That's up to you. But, we will have am e-mail and/or phone consultation to chat about ideas and options. If you choose your home, it means that you will get pictures of the place where the biggest chunk of your kids’ memories happen. The roaring laughter, the tantrum tears, the playful roughhousing and the sleepy cuddles – all that good stuff that comes with being a parent. If we decide to work in your home, we'll come up with a plan for what you'd like to document. I prefer something that you'd be doing anyway, like baking cookies together, bath time, playing in the backyard, etc. We'll chat more at the consultation. Of course I also love documenting outside the home as well. Ideas could include, a trip to the park, the zoo, the pumpkin patch, roller skating, or a favorite coffee shop. Let's chat and come up with some great ideas. What happens when my kids get...wild? We'll keep going! It's not a secret that all kids get crazy. Pretty much every day. That's why my sessions typically last a few hours, because I know the reality of having young kids. In my heart, I really feel that these documentary sessions work better for most kids than stiff portrait sessions anyway. How do we plan and prepare for the session? I’m there to capture how your life is at this very moment, which means no need for cleaning or dressing up. There are so many important aspects of your kid’s childhood that will show in the pictures if you let things just be. If rows of unwashed baby bottles or piles of toys across the floors are a part of your life right now, let me capture it! Having said that, if you want advice on clothing, we can chat. So what does a session with you look like? I photograph your family without interfering or telling you how to pose. I interact with everyone naturally during the shoot, because getting to know you will help me make more meaningful pictures for you. The great thing about family storytelling is that it is not seasonal — we can record your memories at any time of the year. In the winter, we could do an outdoor session playing in the rain (or snow if we're super lucky), and then move inside for hot chocolate and reading or coloring. In the summer, we can capture water play and gardening; in the fall, playing in the leaves. Many sessions are a mix of indoor and outdoor activities, but it can be all one or the other depending on your family’s habits and preferences. In terms of your child’s growth, milestones or birthdays can be a great time to have your family photographed. But really, the best time to do it is NOW. Because this moment in time is finite, and we want to capture it before it’s gone. Portland, Oregon and its surrounding areas. I live in Lake Oswego and I do add-on a small travel fee for areas more than 25 miles from me. Please inquiry for details. Sometimes. I prefer to use natural light, and almost never bring out the flash for my documentary family sessions. My camera can handle any amount of low light, though it does mean a bit more grain in the photos at times (I like grain though...feels more real to me). We'll go over all of this before your session, though, just in case you have a preference. I'm a Nikon gal. I use a NikonD750 coupled with a Sigma Art 35mm 1.4 lens almost exclusively (for both photo and video.) Of course I always carry a backup camera in my bag as well, just-in-case. I've also recently purchased a Fuji X-T2 and I'm quickly falling in love. I use a speedlight attached to my camera when using flash. For video, I have an external mic attached to my camera body. Do you share our images? I blog photos from most sessions, and often one or two of the photos make their way into my portfolio and social media. However, I do honor requests to keep pictures private if desired. What is your completion schedule? Depending on how busy I am, I can usually get you the files in 4-6 weeks for shorter sessions and around 6-8 weeks for video sessions. It's often quicker, but I like to give myself a buffer, in case you book me during a busy season. I really do love your work, but your prices are just out of our budget. Do you offer mini-sessions? Capturing authentic moments is the heart of what I offer my clients, and in my experience it takes some time for everyone to warm up to the camera and really be themselves. In order to maintain the high quality standards I have for client images, I prefer to save mini sessions for those times where you truly only need 1 or 2 images (Christmas cards, headshots, pregnancy announcement, etc). I think of custom photography like a family vacation — something to plan and save for. So much of what we buy is quickly torn up, used up, and forgotten. Beautiful images of your family are heirlooms to pass down for generations and will still be there for you to enjoy after all the toys, electronics, and furniture have long since been retired or replaced. Read more about the family sessions offered here. Awesome! I can't wait to chat! Go ahead and fill out my contact form (or click Book Now below). To move forward, we'll just need your retainer ($200) and a signed contract. But, send me a note and w'ell go from there. I can't wait to talk to you!